WASHINGTON — Arizona’s infamous Sheriff Joe Arpaio — the man who brands himself as “America’s toughest sheriff” and has launched an extensive investigation into whether President Barack Obama is a U.S. citizen — will have to make some changes under a settlement with the federal government on Friday that would resolve some allegations that the Maricopa County Sheriff’s Office routinely violated the civil rights of Latinos. 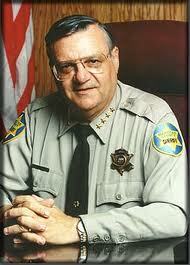 The agreement, approved by the Maricopa County Board of Supervisors, would partially resolve the lawsuit, specifically the allegations that Arpaio’s office unlawfully detained Hispanic workers during worksite raids and violated their Fourth and 14th Amendment rights as well as the allegation that his office retaliated against critics in violation of the First Amendment. Separately, the agreement would require Arpaio’s office to expand language access for Hispanics who are held in the county’s jails. Arpaio will still be headed to trial next month to resolve allegations in the lawsuit that his department targeted Latino drivers. Posted: 7/17/15 at 4:54 PM under News Story.